Home»Blog»Marketing»Do You Need an Explainer Video for Your Entrepreneurial Venture? This is a guest post by Jeff Richardson from Breadnbeyond.com. Despite its popularity, an explainer video isn’t a tool that everyone can take advantage of. Entrepreneurship is tough — you have to stay ahead of the competition. Explainer videos are an effective tool for standing out from the competition by being that one person with an awesome video on their website. But not every entrepreneur can get maximum results from an explainer video. It depends on many factors such as your niche, budget, target audience, and many more. I’ve formulated three questions that you need to answer to better judge whether or not you should invest your resources in an explainer video. 1. Do you have a website or use social media to promote your services? With the huge shift in people’s habit of looking for products and services online, you definitely need to change your marketing strategy to a more digital-oriented one. In fact, over 95% of Americans have bought something online at least once in their lives. That means if you’re already using some sort of online platforms to promote your products and services, you’re still in competition. Having an explainer video on your website helps your visitors understand better what you’re offering, in a shorter and more entertaining way. Placing an explainer video on a landing page can help grab the attention of your visitors immediately when they arrive. Social media is similar to a website in that respect. The main difference is that most social media platforms are more accessible and optimized for mobile users. Social media can be a hard field to play in when promoting products or services, mainly because of how quickly people scroll past things in their timelines. That’s where visual content like explainer videos can help you catch your target audience’s attention. By having a strong opening and eye-catching animation, you can reach the majority of your followers. You can’t possibly run a physical store 24/7 unless you have many employees working in shifts. Setting up a website or social media eliminates that problem. If you use social media and/or a website to promote your services, you can get maximum results from an explainer video. 2. What kind of products or services do you sell? Primary Needs If you are offering products that fall under the category of primary needs, such as food & beverages, clothing, or housing, you don’t need an explainer video. People already know that they need those — so you should spend your resources on growing your brand. Software If you are a developer or a marketer for a software as a service (SaaS) company, surely you are selling something complicated. Not everyone has a similar level of awareness in technology and computers. That’s where an explainer video can help your target buyer understand your software better, by using simpler words and visual aids. It’s also easier to highlight the key features and uniqueness of your software compared to others. Here’s an example of an explainer video about Pinterest (Everyone knows Pinterest now — I get it, but this video was made in 2012). Unique & Custom Goods Products that come with special features need to be clearly explained to attract as many buyers as possible. Explainer videos can help you better visualize what the special features are and how those features are worth having. Let’s take as an example Fuel Baby, a brand of baby’s milk bottle with a release-mechanism for the formula. Now that’s quite difficult to imagine without a proper visualization, right? With visual aid,s it’s much easier to digest the concept of unique products like this. Niche Services Entrepreneurship is a vast universe. For an entrepreneur who offers niche services like designing a business model for other businesses, building dog houses for Tibetan Mastiffs, massage for infants — or any other ultra-specific fields — explainer videos are a powerful tool. Let me explain. If you or some other entrepreneurs decide to practice those services, there has to be a reason behind it, right? Sometimes convincing people why they need your service with words can be a challenging task for people who aren’t good talkers. Explainer videos help you better communicate what you have to offer so that you can reach a specific group of people who are more likely to buy your service. This leads us to the last question. 3. Who is your target consumer? Knowing the right target consumer is one of the key traits of a successful entrepreneur. If you offer your products or services to other companies, there is a good chance that you will find explainer videos helpful. When it comes to B2B (Business to Business), technicality matters. An explainer video can help this issue, condensing complicated and technical information into an easy-to-absorb video that your business can use to approach potential clients. But if you are targeting end-users and individual consumers, you need to make your targeting more specific. 18-29 years old This is the prime age of internet users and social media junkies. Based on a survey by Pew Internet, 99% of U.S citizens within this age group have internet access. They also have the most daily screen time compared to other age groups. If you’re targeting this age group, an explainer video (and video content in general) is a no-brainer. 30-49 years old Similar to the previous age group, 96% of U.S citizens within this age range are actively using the internet—albeit not with as much screen time. Videos have been proven to enhance the likeliness of online purchase by 181%. 50-64 years old There are 9 out of 10 U.S citizens within this age range who no longer limit themselves to reading physical source of information like newspapers and magazines. A large portion of this group is computer literate. 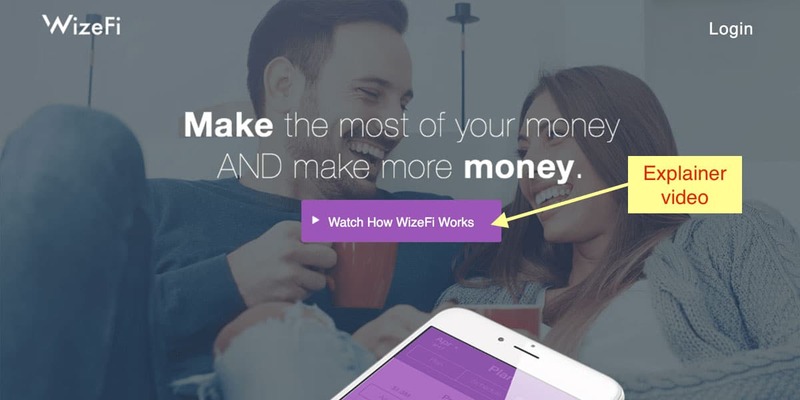 You can opt to invest in an explainer video, but there is also a big chance that their literacy is limited to basic activities like scrolling down their Facebook newsfeeds and watching YouTube videos. Age 65+ Technology has reached every age group in the universe — but its reach to the senior population (65+) is significantly lower. People at this age need a more personalized communication channel. Contacting them using conventional methods and expending more effort to approach them face-to-face are proven to get better results. So, NO, I don’t recommend making an explainer video if you’re aiming for this specific age group. Verdict: Do You Need an Explainer Video? Answering these three questions will help you decide whether or not you should invest in an explainer video, but keep in mind there are many other factors like budgets. Some premium explainer video production companies charge up to $50,000 for an explainer video, but there are small to medium production houses that offer much cheaper deals with somewhat decent quality end results. 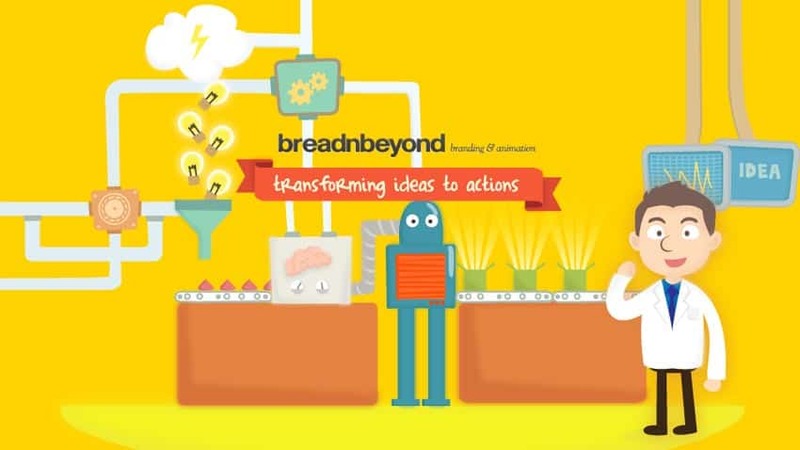 Jeff Richardson is 1/30 of the companionship called Breadnbeyond, an award winning explainer video production company. He shares what he knows about explainer videos with others—by explaining them! When he’s not knee-deep in the video marketing world, he spends his time playing The Witcher 3, at least for now. Check out his latest guide to choosing the best explainer video production company.